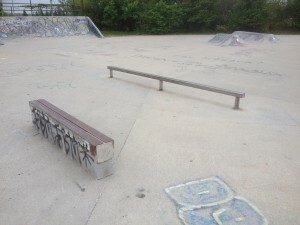 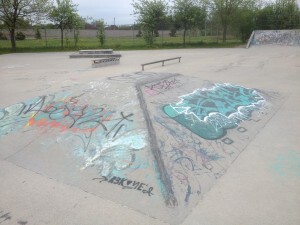 This skatepark is known affectionately as The Aud. 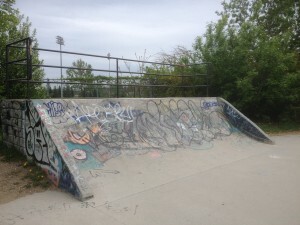 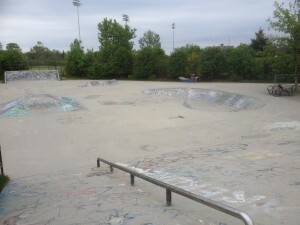 Located outside of The Kitchener Auditorium, it is a nice place for both the experienced skateboarder and the novice. 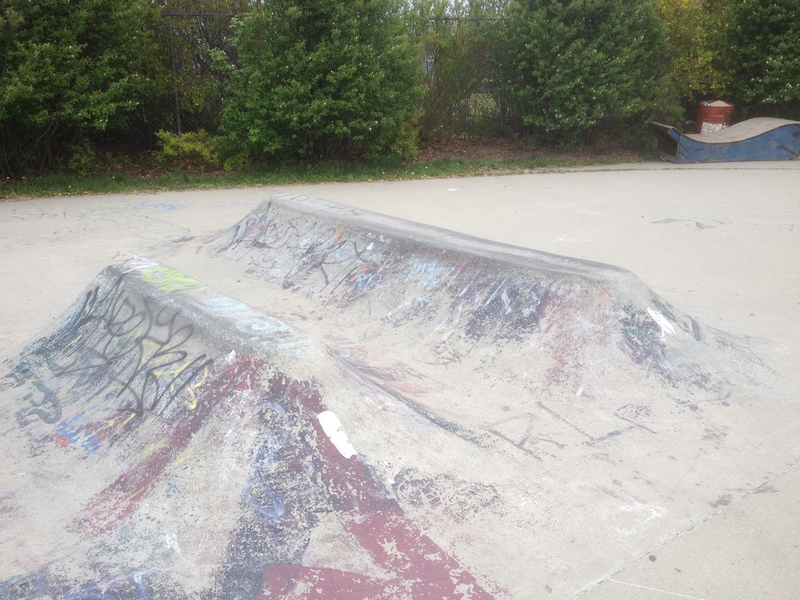 and a double camel hump. It’s a little hard to see the contour of it in this photo, but it is a nice obstacle to skate. 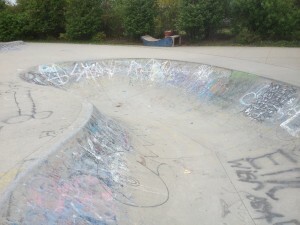 And one that I have never seen elsewhere. 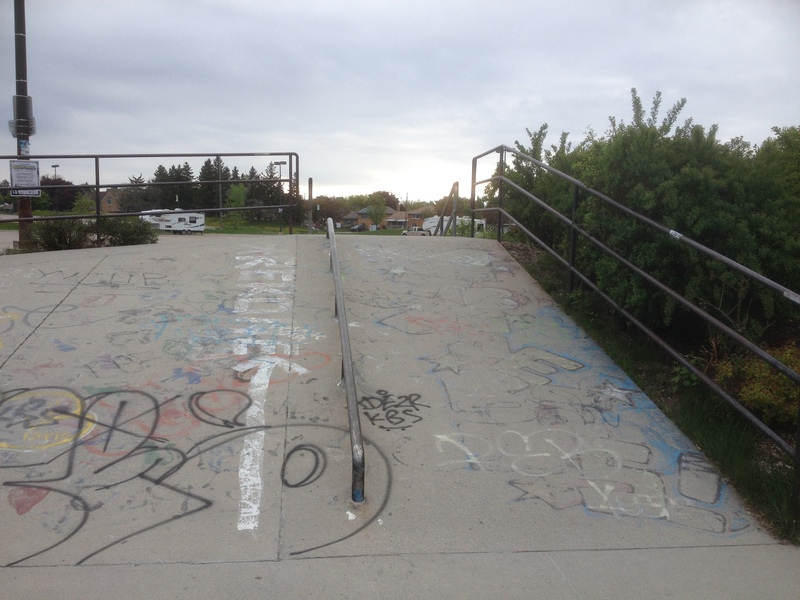 Here is the launch ramp with a rail to slide or grind. This pyramid has metal grind bars on it that are very nice for the beginner to experiment with. 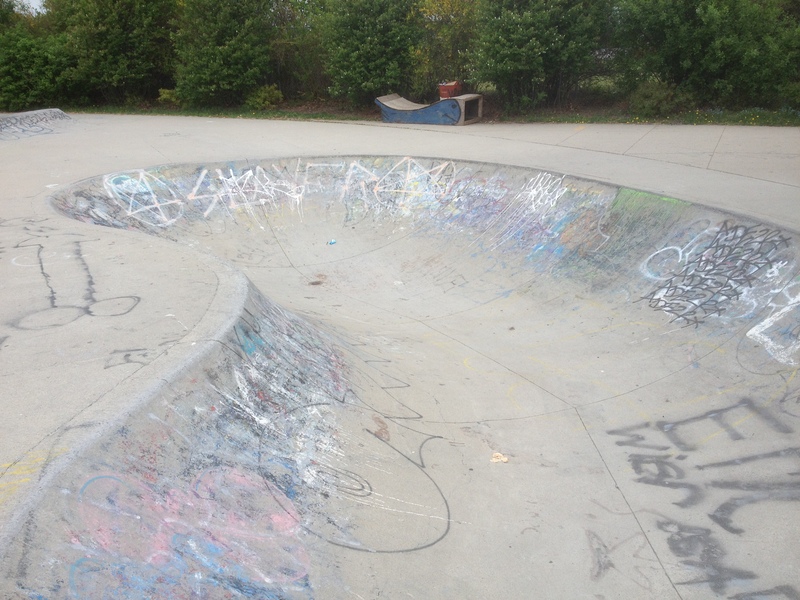 This quarter-pipe is a little steep. 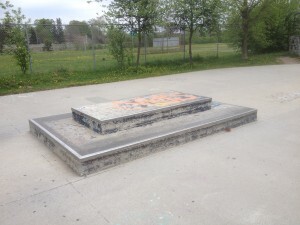 It reminds me of the Widow Maker at Beasley in Hamilton.